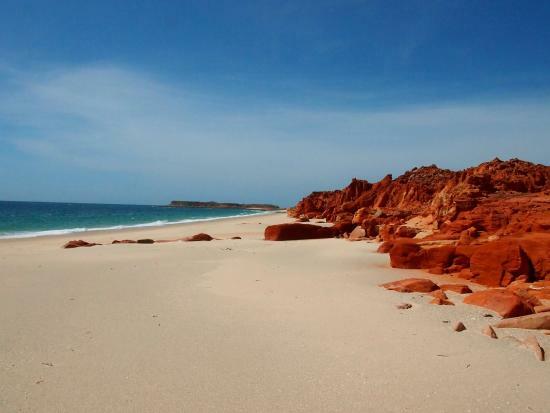 Broome Australiais a remote outback town situated on the Indian Ocean in northwest Australia. It is the largest town in the vast Kimberley region to the north of Western Australia, and has become a very popular travel destination in recent years. This popularity is due to Broome's unique history, unique blend of cultural influences, it's magnificent beaches and landscapes and it's fantastic tropical climate. Broome is situated between the vast Great Sandy Desert and the azure blue Indian Ocean, along the pure white sands of Cable Beach. Often referred to as the gateway to the Kimberley, Broome owes its existence to the discovery in Roebuck Bay in 1861 of the Pinctada Maxima, largest pearl oyster shell in the world. News of the giant oyster shells spread rapidly and pearl divers of all nationalities flocked to Broome to make their fortune, including Malays, Japanese and Chinese, who joined local Aboriginal pearl divers in the sometimes dangerous but rewarding quest for high quality pearls. 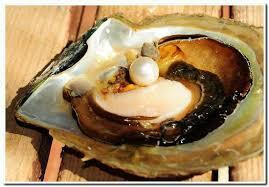 Broome's pearling industry still produces the worlds finest pearls today. 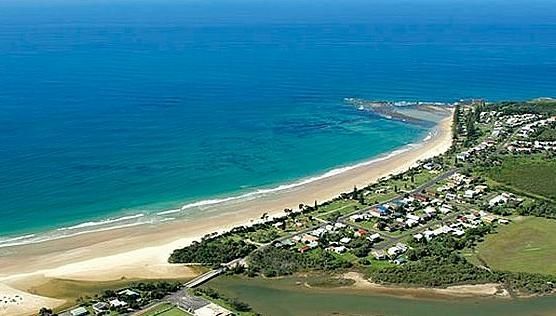 Broome Australia has a tropical climate with hot summers and warm winters. 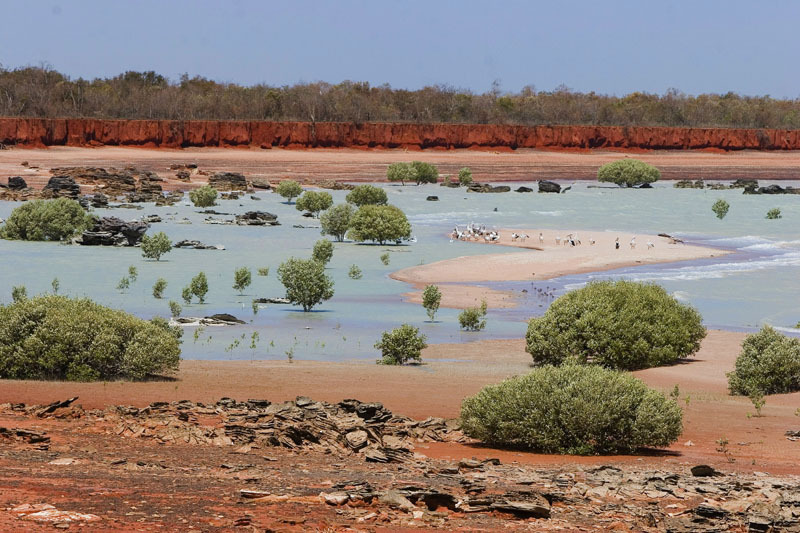 Like other tropical areas of Australia, Broome's year has two distinct seasons, the Wet and the Dry. Broome's wet season officially commences in October but rain is rare before before December. Most of Broome's annual rainfall occurs from January to March and is sometimes accompanied by thunderstorms and tropical lows or cyclones. 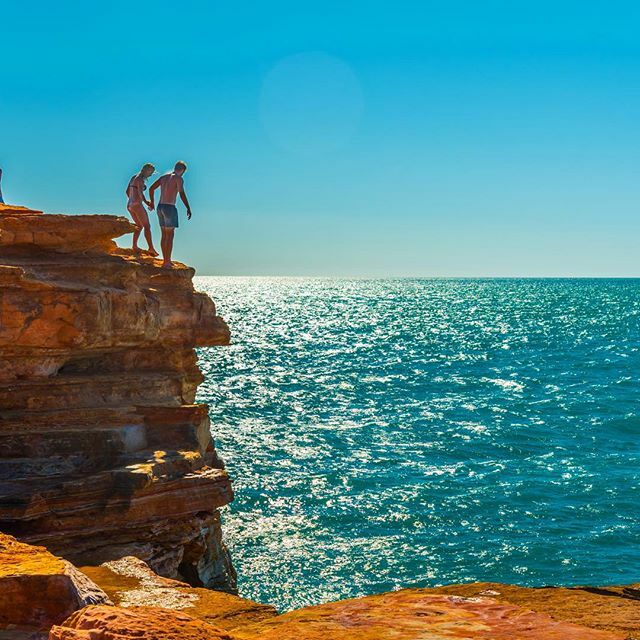 Daytime temperatures during the Wet average 33 C with the overnight temperatures averaging 25 C.
Being located on a peninsula, Broome's tropical climate is moderated by reliable afternoon sea breezes during the warmer months. The Dry commences in April, when temperatures in Broome average 25 C to 30 C with overnight temperatures of around 12C. Rainfall is rare in Broome at this time of the year. Broome Australia provides enjoyable outdoor activities for all ages and tastes. Start exploring with a leisurely stroll along Cable Beach, a 22 kilometre stretch of pristine white sand overlooking the Indian Ocean. While there, you may have a chance to witness Broome's large tidal movement, often over 10 metres. At the end of the day, relax with a cool drink on Cable Beach and witness a spectacular Indian Ocean sunset. 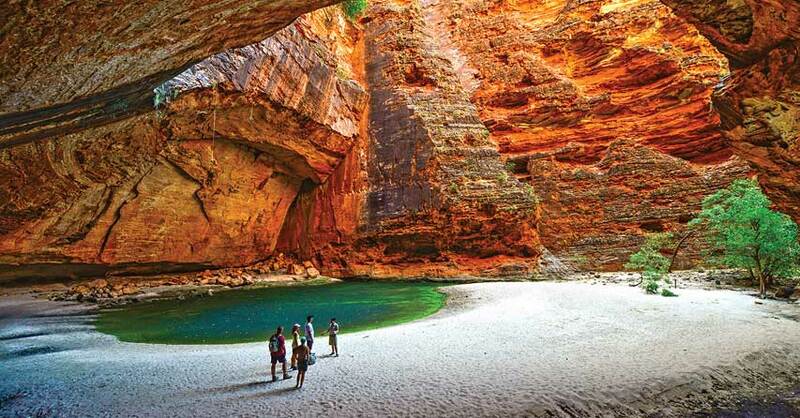 The more adventurous can experience the adventure of a lifetime with an extended cruise along the rugged and spectacular Kimberley Coast north of Broome, or with a 4WD Safari inland into the rugged and majestic Kimberley Gorges. Broome also offers excellent fishing, so take a boat and go catch yourself a tasty meal off the shores of Roebuck Bay or Cable Beach, or from the Deep Water Jetty in the Port of Broome. Enjoy the quiet serenity of Buddha's Sanctuary, where you can reflect, meditate and enjoy the ornamental gardens and visit the pavilion which is home to a magnificent 4 metre crystal Buddha. At the Japanese Cemetery, final resting-place for more than 900 pearl divers, you can learn more about Broome's fascinating history and the dangers of the early days of pearl diving. Other attractions include Gantheaume Point, where vibrant red sandstone cliffs spill into the sea and 130 million year old dinosaur footprints are visible at low tide. Chinatown, which was once a busy hub of pearl shell dealers, billiard saloons, entertainment houses and Chinese eateries, remains a colourful and fascinating quarter of Broome where the finest pearl showrooms, shops, restaurants and cafes can be found. There are plenty of opportunities to learn about the often dramatic history of pearling in Broome, including a visit to a working pearl farm. If your goal is relaxation, Broome is an ideal holiday desination offering unique experiences like no other. But be careful ... the colours, moods and enchanting tropical ambience of Broome may captivate you so much that you'll never want to leave! Looking For A Private Jet Charter?